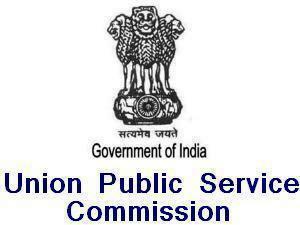 Union Public Service Commission UPSC SCRA Exam 2014 Notification already released on the official website of commission http://upsc.gov.in but candidates are still worried about various things the eligibility criteria, exam dates like starting and last date to apply online, exam date, age limit and relaxation in age, schedule of examination etc. The examination will be held on 12 January, 2014 under the rules and regulations of Railway Board (Ministry of Railways). A citizen of India or a subject of Nepal or Bhutan or Tibetan refugees who came before 1 January, 1962 and now permanent in India. A person with Indian origin who has migrated from various Asian countries. A candidate must have minimum age of 17 years and not equal or more than 21 Years as on 1 January, 2014. i.e. one who born in between 2 Jan, 1993 and earlier than 1 Jan, 1997 will be eligible to apply. Age relaxation is applicable for all reserved category candidates like 5 years for SC/ST, 3 Years for other backward classes, 3 years for defense category etc. More details are given in this advertisement pdf. Must have passed with first or second division in the intermediate or any equivalent examination of Board or University with Mathematics or Physics/Chemistry as main subject of examination. Must have passed with first or second division in the 10+2 (Higher Secondary Exam) from School Education Board with Mathematics or Physics/Chemistry as main subject of examination. Must have passed with first year examination under any three year degree courses of a university. More Details given in upsc official advertisement pdf. 4 November, 2013 till 11.59 PM, after then online application form apply link will be disabled. Other than these categories SC/ST/PH/Female, the application fees is Rs. 100/- only which is payable either by cash through any SBI bank across the country or using the net banking facility of SBI bank and associated banks.